In today’s global market, it’s more important than ever to understand the dynamics of academic publishing. Rely on Global Social Sciences & Humanities Publishing 2016-2020 to build your growth plan for this year and beyond. This report provides an overview and financial outlook for this important publishing segment based on specific research and analysis of the leading competitors’ performance through 2015 with market projections through 2020. This report has used the information it gathered through primary and secondary research to estimate company, market, geographic and individual delivery channel performance for 2015. This research was conducted in conjunction with a larger study of the overall market for scholarly and professional publishing. The overall market and each market segment are divided into four content delivery channels: books, journals, online services (including abstracting and indexing) and other activities. Insight into the market for non-English-language publishing in the social sciences and humanities. Whether your focus is books, journals or online content and services, you can trust Global Social Sciences & Humanities Publishing 2016-2020 to provide the inside intelligence you need to evaluate growth potential, understand trends affecting the industry, and size up the competition. 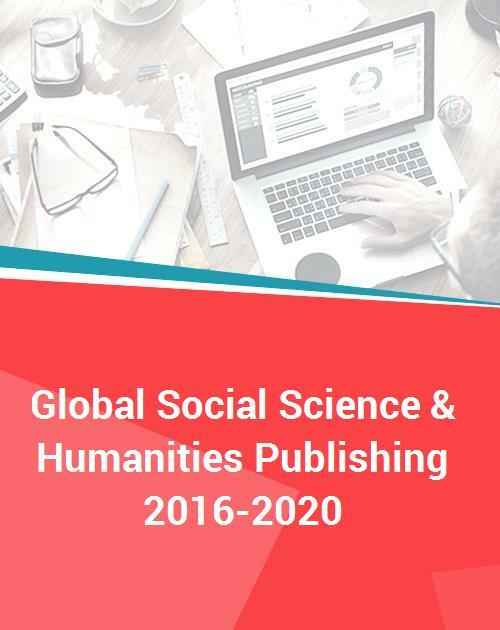 Global Social Sciences & Humanities Publishing 2016-2020 is an essential tool for publishing executives, M&A advisors, market analysts, and industry consultants who need to understand the business strategies driving the scholarly and professional publishing industry.